Unless I’m presented with a grand landscape that includes a great sky, I find I’m more drawn to the intimate landscape of the Palouse. I love varied colors of the gentle rolling hills that create beautiful intimate scenes like this. Of course the late light and long shadows did not hurt. 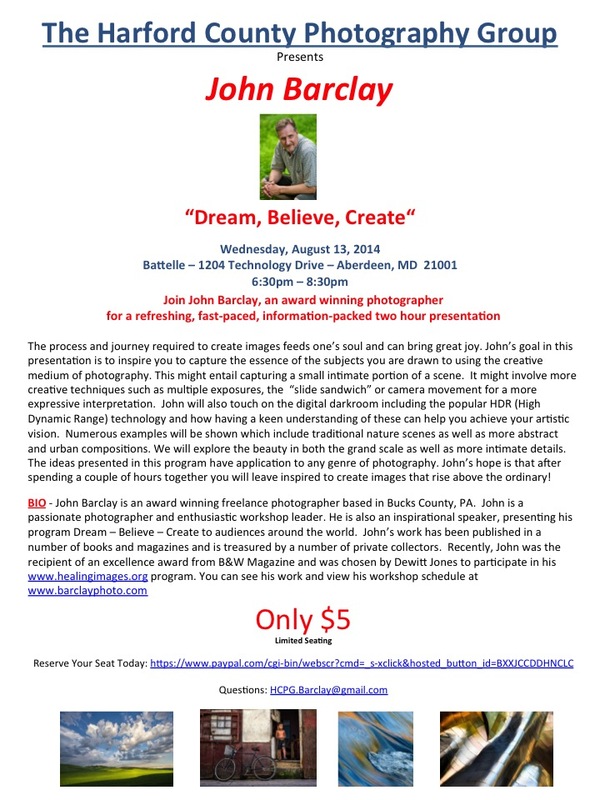 On another note, I’ll be speaking at The Harford County Photography Group in Maryland on August 13. If you’re in the area you are welcome to attend. Details below. Scenes like this attract me because they have character. The rolls, the intersections, the man-influence – they all combine with the colours and light. Good stuff. Thanks Stephen. Always appreciate your comments. 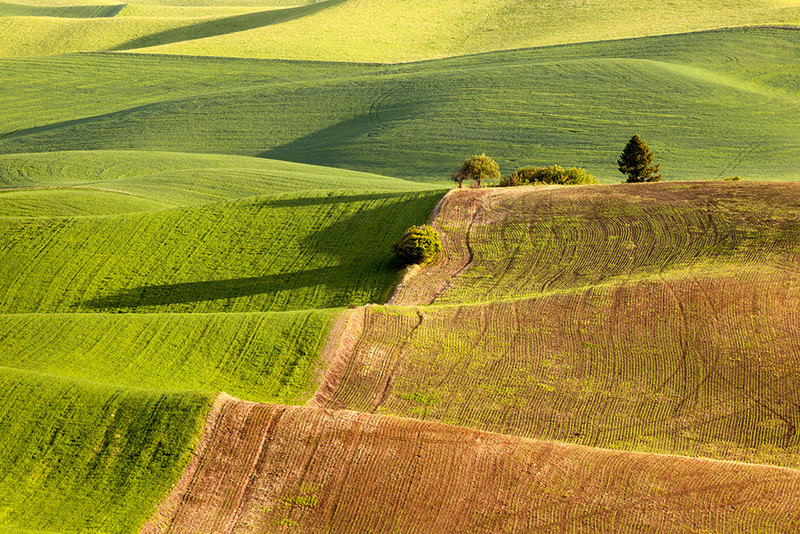 Your Palouse shots always are so stunning.